A week has sped by but the story telling event we had on Sept. 6th in collaboration with The Storywallahs is so vivid in our minds as if it took place, well, today. 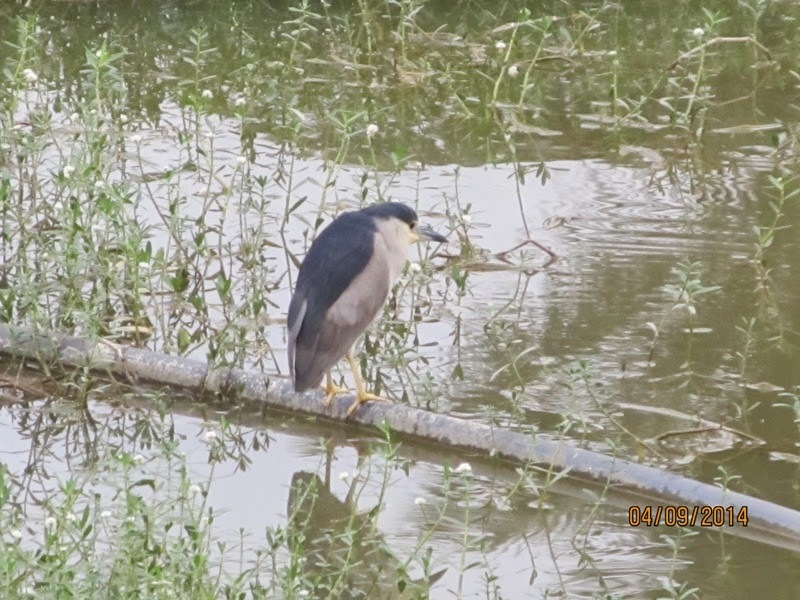 The day was murky from morning and when it began to rain at around 2 p.m., we were relieved. If it rains now surely it won't during the story telling. We reached the lake well in advance, set out the registration counter and ... it rained. We took the table to the gazebo, wiped it dry and cleaned the seats just as sky cleared and the first of the early birds began to come in from 4 p.m. The programme began promptly AND with a full house. Kids, kids, kids everywhere but where were the story tellers? The children lined up and we set out to locate Nupur Aggarwal and Parvathi Om. The search was quick and the children "pulled" them out of the lake. Like Pied Pipers, Nupur and Parvathi led the kids to the Gazebo singing and coaxing the reluctant ones to sing along. The children sat on the floor of the Gazebo, parents on the benches, others stood outside but all eyes were on the dynamic duo, Nupur and Parvathi. Then began the best part of such events - seeing the story tellers and listeners get swept into the narrative. The artists were in full form. The kids didn't look here or there. Suddenly a child burst into loud tears. He was so caught up with the action that he had bit his thumb a too hard! We swooped him away to our "office" to administer first aid. It was a small cut by the base of the nail but it was enough for a drop of blood and bigger drops of tears! We pacified him but his cries grew louder. He managed to blurt out why - he wanted to find out what happened to the Generous Crow! The next story was a Punjabi folktale, Kaka and Munni. 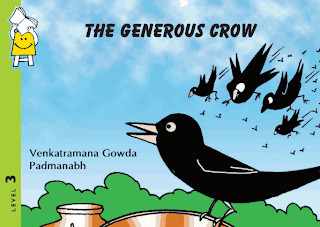 Kaka was also a crow but such a wicked fellow! 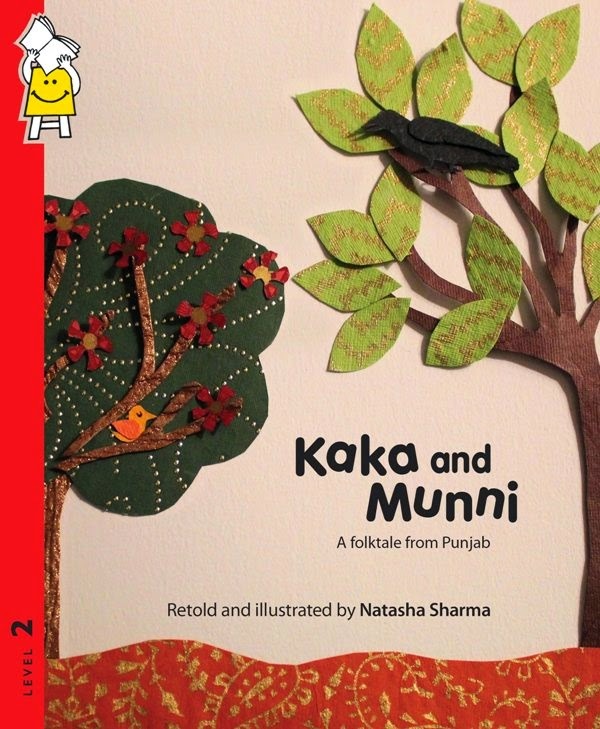 He was out to steal Munni, the sparrow's eggs. Tension mounted in the kids and it seemed as if they held their breath even as their eyes grew wider. The story telling event was turning out to be exactly how we wanted - transporting the children into a world of imagination. It was time for the next segment - paper craft. All was well ... or so we thought forgetting the biggest child of all - Rain God! He decided that it was time to make an appearance and how! We tied a tarpaulin between two pillars. The story tellers didn't stop, the children moved closer to them. Parents sitting on the benches got up and stood behind the kids, shielding them. Adults standing outside opened their umbrellas and blocked the rain further. It was magical, truly heart warming sight. No wonder it feels as if it happened just moments ago! One of the parents, Mithun Prabhu took "126 photos, which i finally cut down to 81 as couldn't cut it down further seeing innocent cute little ones photos and some of their enthusiastic parents." 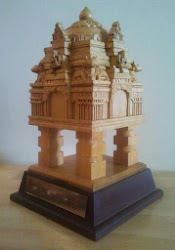 If you want any of these photographs please email Mithun <mithunp@yahoo.com> / Nupur Aggarwal <nupur.aggarwal@hotmail.com>. Thanks to The Storywallahs who make learning so much fun through storytelling. Two batches possible (morning and afternoon batch). We would like to introduce LabourNet as a social enterprise that creates sustainable benefits for workers in the informal sector by taking an end to end solution that is focused on plugging gaps in the eco-system. These workers constitute 93% of India's workforce. Our aim is to reach a million workers by 2017. We work with the industry to define occupational standards for job role and define industry relevant training program. Establish and run Livelihood Centers across India to empower people in rural areas / Tier 2 & 3 cities with vocational skills at the grass root level. Along with access to world class training and skilling solutions, unorganized sector workers get identity and financial inclusion by registering with these centers. The workers employed by LabourNet are also assured of insurance and social welfare and this improves their quality of life significantly. Enterprise skill enhancement by providing onsite training (domain specific skills, soft skills and behavioural management) to existing informal sector workers. 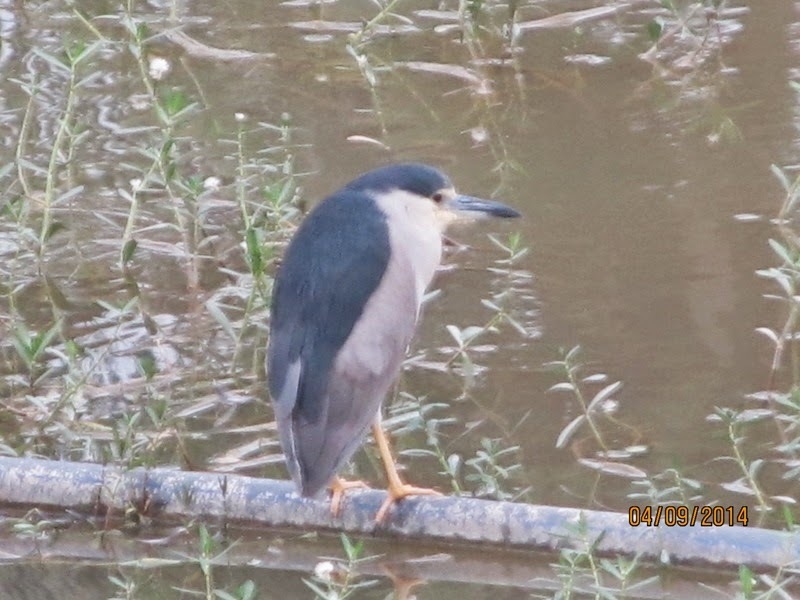 The worry about not raising enough funds to meet our annual maintenance expenses of the lake was wiped out temporarily at least today evening with the sighting of a new-for-me bird - the Black-crowned Night Heron. How obligingly he sat on a pipe in the water, hunched shoulders, sharp, long beak and red eyes, turning this way and that as if posing for my camera! You can read more about the bird and hear recordings of its call here. 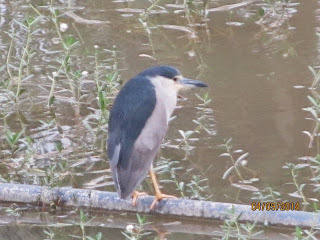 If you are bringing your child for the story telling on Saturday evening, be on the look out for this Night Heron. Literacy Day - Story time, Fun time! 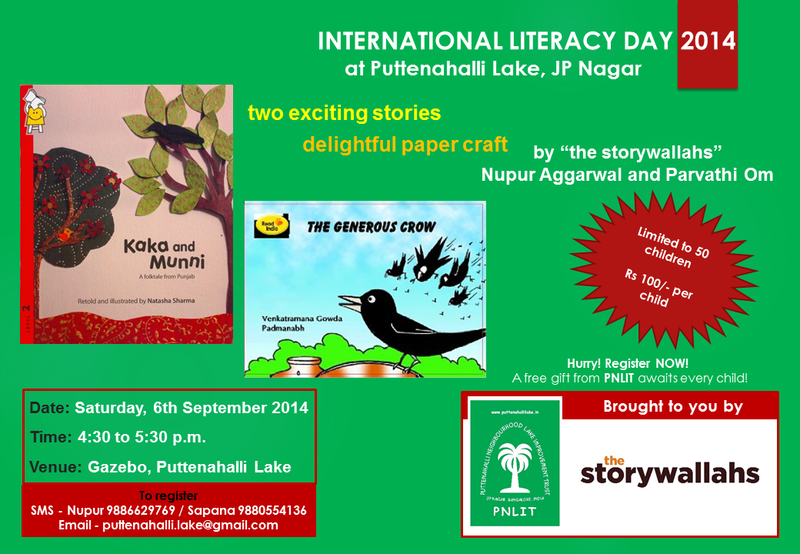 PNLIT is happy to announce a unique story telling + activity event for children. The story tellers are Nupur Aggarwal and Parvathi Om from the reputed The Storywallahs! And hey!! That's not all. Let your kids engage in delightful paper craft with our experts! All this fun for only Rs.100 per child. Admission restricted to 50 kids only. Hurry! Register NOW! A free gift from PNLIT awaits your child! 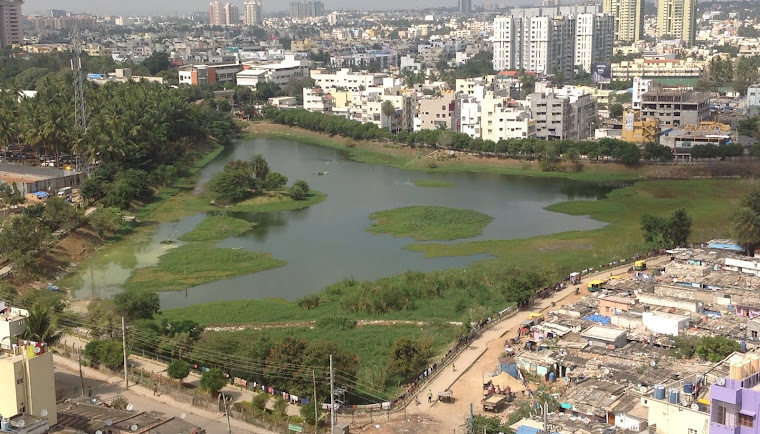 To register, please sms Nupur 9886629769/ Sapana 9880554136 or email puttenahalli.lake@gmail.com.